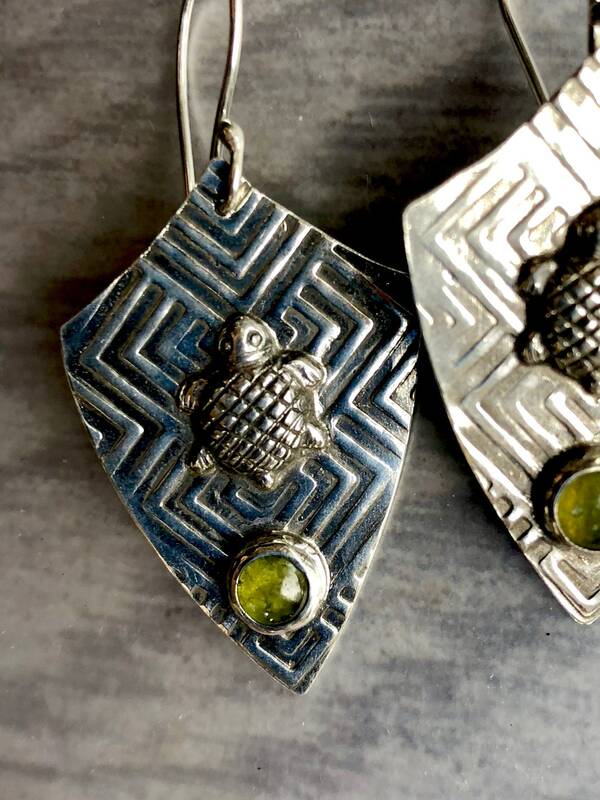 Each earring features a detailed fine silver turtle and spring green vesuvianite sitting in a field of Art-Deco inspired geometry. 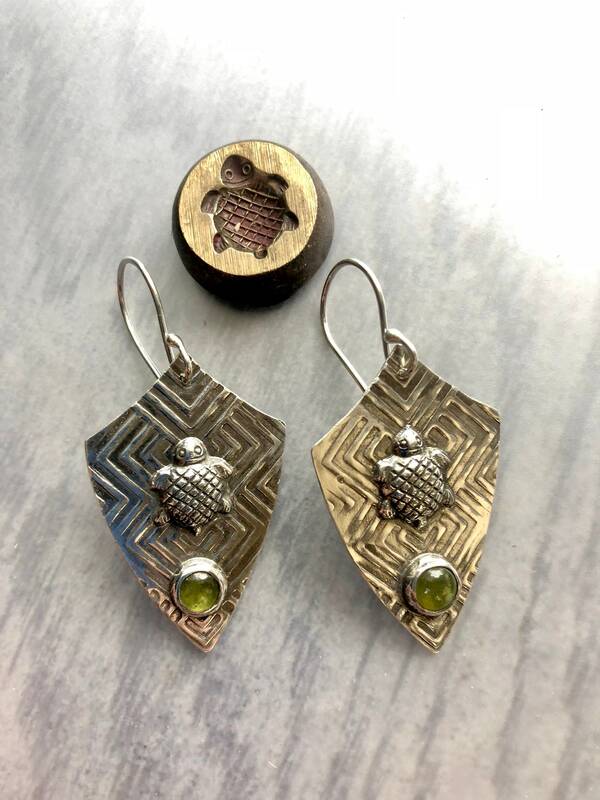 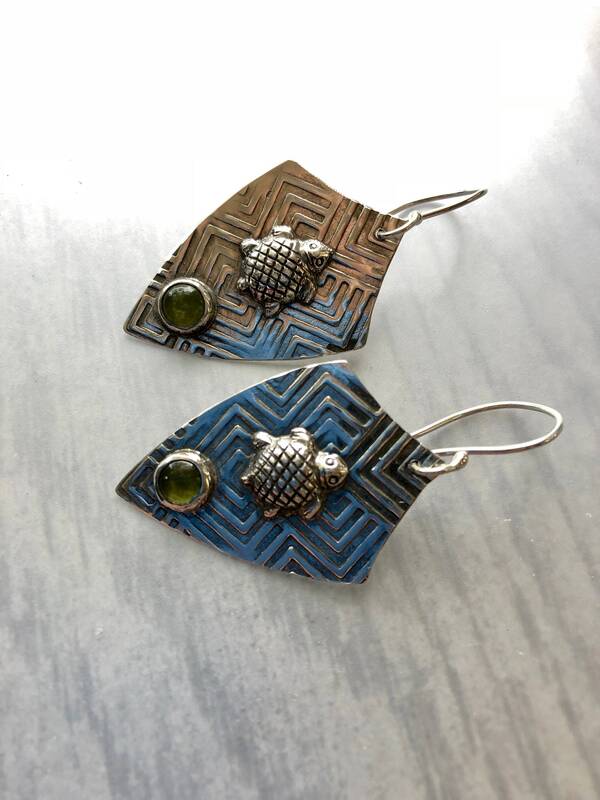 The raised pattern is visible on both sides of the shield-shaped earrings, echoing the pattern of the turtle’s shell. 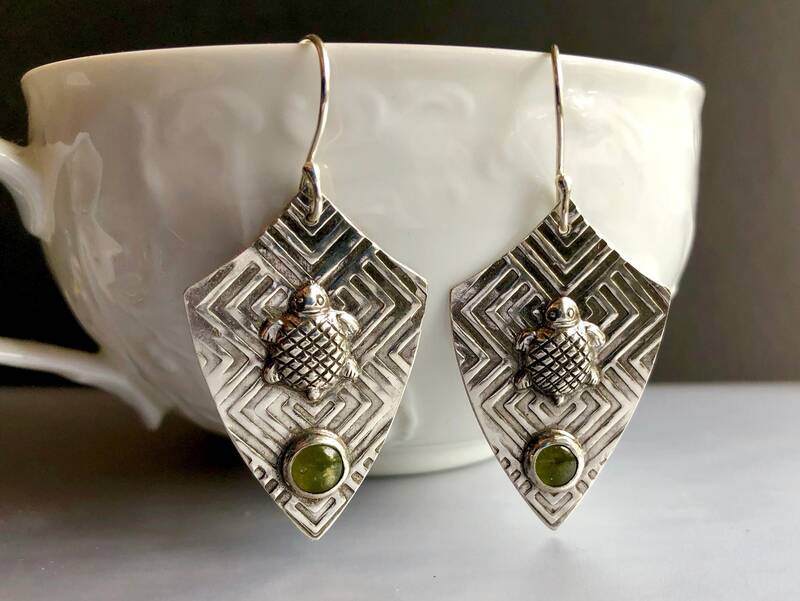 This pair of earrings has been entirely hand-crafted from sterling and fine silver, including the signature hand-forged ear hooks. 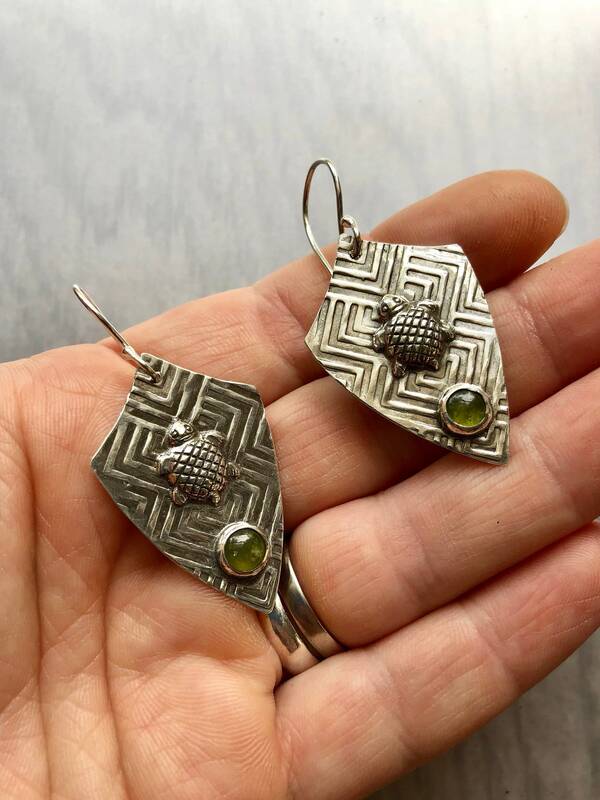 • The round vesuvianite stones are 6mm in diameter. 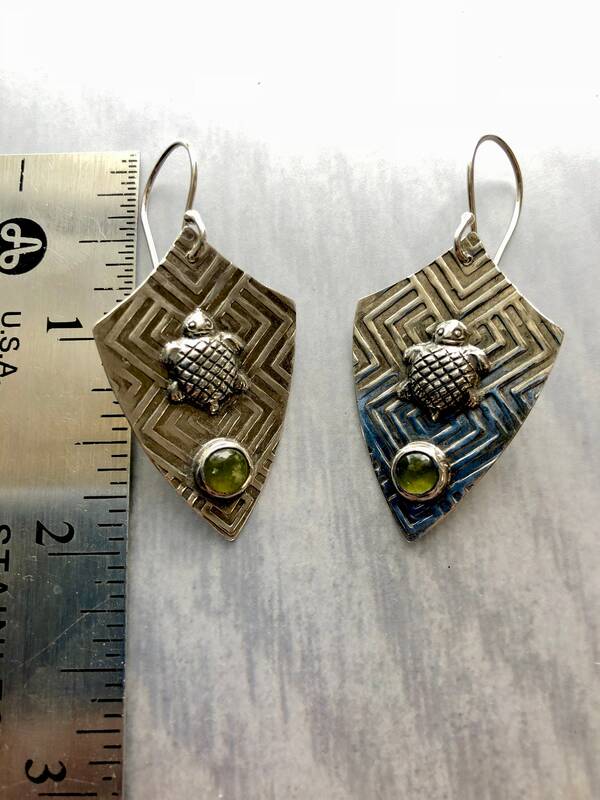 • These earrings hang approximately 2” long and 1” wide. 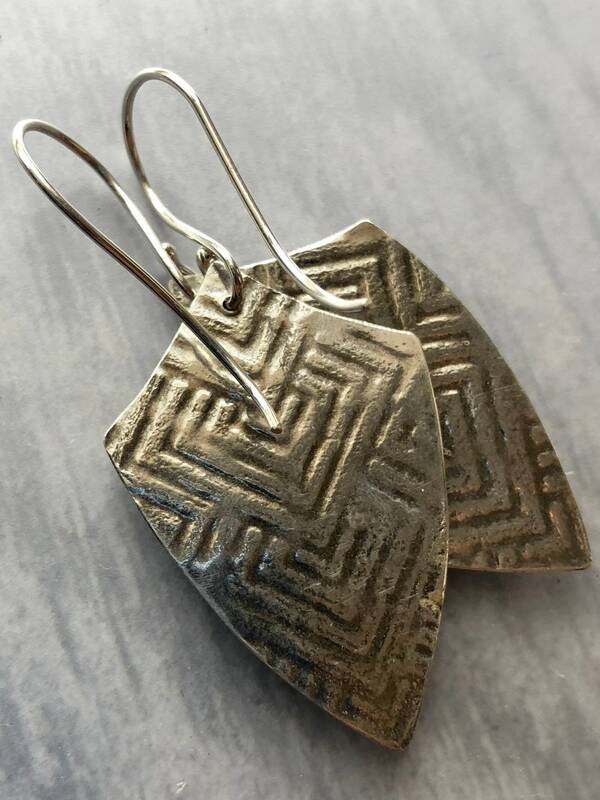 • 24 gauge silver was patterned on a steel impression plate to make these earrings, making them relatively lightweight and very comfortable to wear. 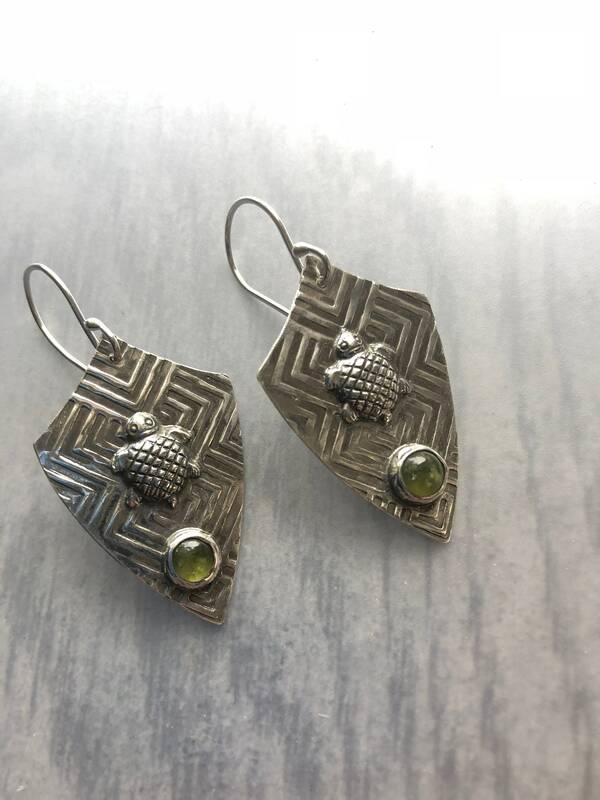 Very cool earrings! 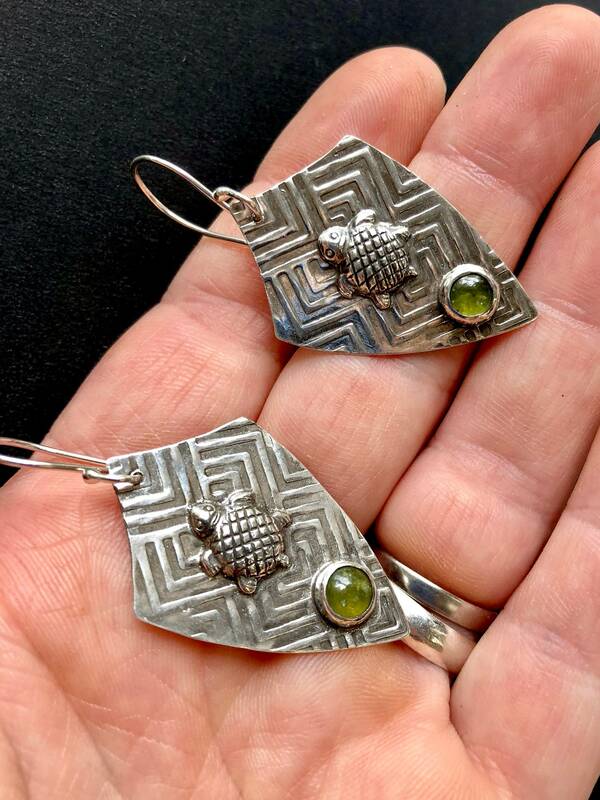 The pattern is amazing.